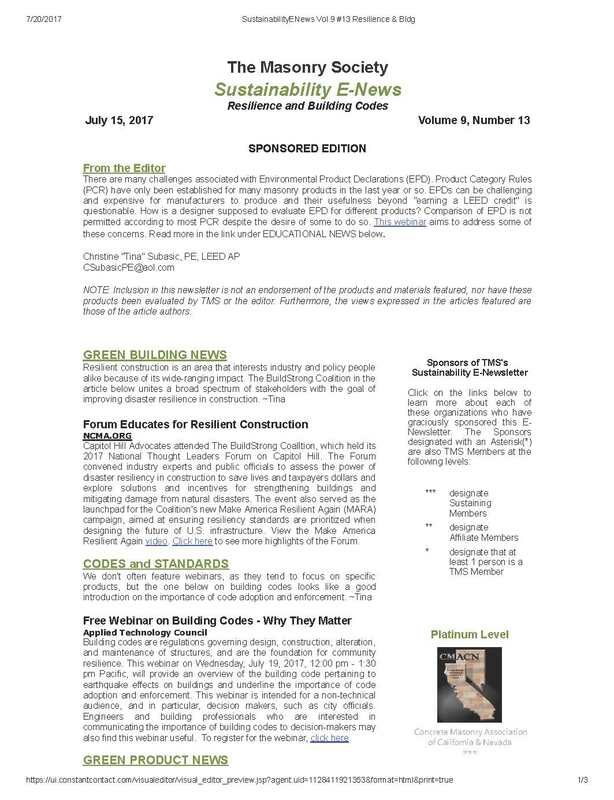 TMS offers subscriptions its E-News Brief, its Sustainability E-newsletter, and its Journal, and towards the end of each year, to various industry publications thanks to the generosity of industry sponsors. 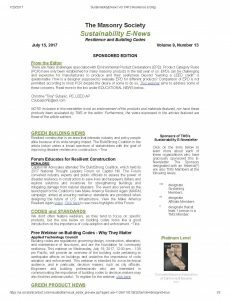 Subscriptions to TMS E-News Brief and TMS Sustainability E-News are complimentary, and you may subscribe below. 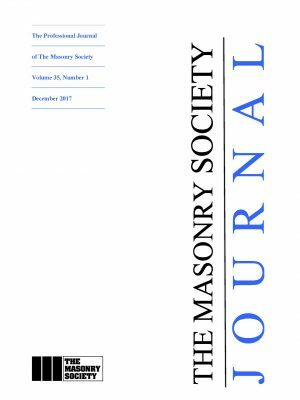 Electronic copies of TMS Journal (and all back issues) are available to TMS Members at no cost as part of their membership benefits (for information about other membership benefits, see Membership). Subscriptions to the TMS Journal are available through the TMS eStore. Login E-mail* You'll use this email address to log in. 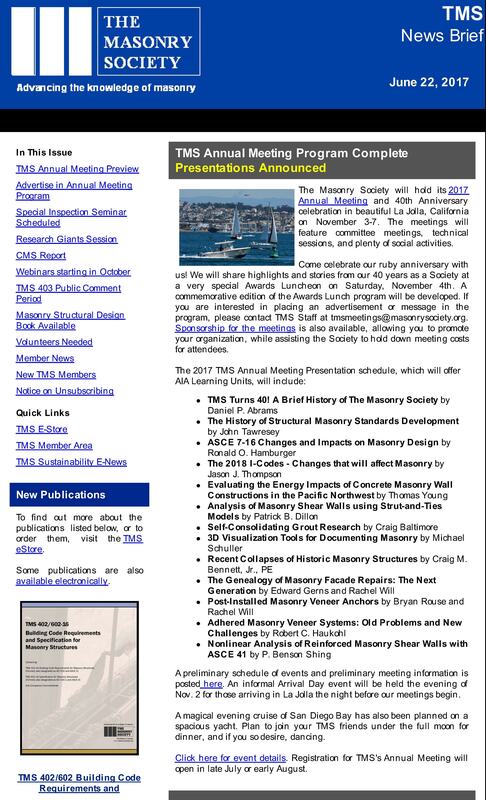 -TMS Contact Permission: I give TMS permission to email me Masonry Codes and Standards Updates, information on new publications and learning events, and other information on Society activities and meetings.